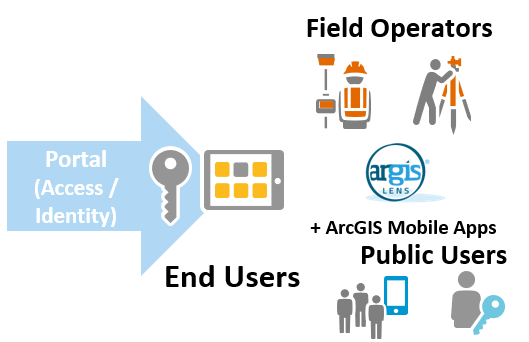 Patented and proven mobile solutions that integrate Augmented Reality with ArcGIS. The Argis Lens brings GIS data into the three-dimensional world field operators work in—creating a seamless user experience. Publish GIS data to be viewed with Augmented Reality (AR) as a feature service. Enter a Rest Endpoint URL into the Argis Console to securely access this data. Create and build AR Data Scenes. Assign viewing privileges for your field users. Access AR in the field by viewing Data Scenes with the Argis Lens, mobile app. Using ArcGIS and the Argis Lens software, Whiting is able to view its underground facilities in the real world to more accurately match the actual projected underground facilities with the above ground landmarks, so it can better assess risk and communicate more clearly with excavation contractors. Read more about Watford City Area’s success in this recent Esri case study: Mitigating Risk by Visualizing Hidden Assets with Augmented Reality. What Makes the Argis Lens Different? The Argis Lens integrates with ArcGIS within minutes, making augmented reality a real, viable solution to improve productivity for field operators. As a Software as a Service (SaaS) subscription model, end users can experience an immediate improvement in their interaction with geospatial information. From visualizing assets in their real-world context to communicating three-dimensional relationships between assets, the Argis Lens is a game changer in field operations. Reduced pricing is available for Enterprise, Educational and Re-seller programs. Learn more about these opportunities. The CGA 2017 DIRT Report estimates that 439,000 excavation-related damages to underground facilities occurred in 2017 in the U.S. alone. Don’t become a statistic. Empower field operators today with the Argis Lens and see the difference augmented reality makes. Schedule a virtual meeting below or request more information.